"I just cannot believe that I am here with this career path ahead of me. A couple months ago, I was nowhere near qualified for this kind of work, and here I am learning and earning money to a future in IT. " 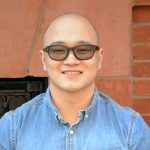 My did an extended internship with Accenture’s Berwyn location before landing a job with ISS Solutions as Entry-Level Tech Support. 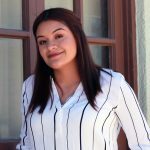 Denise completed her ITWorks internship with the City of Las Vegas. Within a month of graduating, she was offered a position at Pinnacle Entertainment as a Technical Support Analyst. "From the beginning, the ITWorks program gave me more support that I could have ever hoped for. They gave me the tools, knowledge, time, but most of all they gave me a chance. A chance to become someone that has value in this world. Everything they have done for me has helped me grow not only my skills but as a person as well." 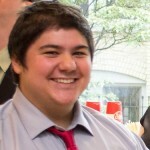 Justin interned with the help desk at Tech Impact. He proved to be a dynamic member of the team and was hired right after! "I decided to give this program an honest shot, and today I’m proud to tell you that that is bar none the greatest decision I’ve ever made in my life. I’ve never felt more confident in myself, and so sure that my future can be a bright as I want it to be." 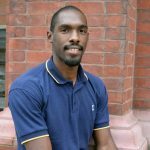 Marques completed his internship at ReedSmith in Philadelphia. He was then soon hired as the IT Administrator at The Village. "I came into this program with a lot of expectations. The expectations I set for myself, but also with what ITWorks could provide me. I can honestly say my experience with this program surpassed anything that I could have imagined. I never regretted leaving my job for the 16 weeks of training. I know I can accomplish anything in the IT sector with the knowledge and skills they gave me." 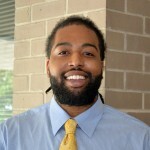 Jorry earned his CompTIA A+ certification and an internship with AchieveAbility in Philadelphia. After graduation, he was offered a job here at Tech Impact. "Stepping into the world of IT took a lot of courage for me. With the help of ITWorks, they made it a smooth transition from the healthcare industry to IT. ITWorks has also helped me to increase my confidence, gain a professional network, and a marketable skill that will help me to be successful in the field of IT. I'm proud to say that I accepted the challenge of changing my career path, and I'm glad that ITWorks believed in my goals and gave me a chance. Thank you ITWorks!" 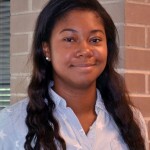 Clyvette interned with the technology team at Wissahickon Charter School. Afterwards, worked on a few contract positions through at Jefferson Hospital and Einstein Health in Philadelphia before landing a long-term contract with AmeriGas. "ITWorks has taken me from being stuck in the vicious cycle of a paycheck to paycheck life and given me an opportunity to pursue my dream job." 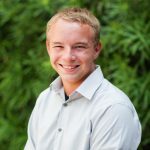 Josh completed his internship at Southwest Gas in Las Vegas. Afterwards, he was offered a contract position to continue working there since it was such a great fit. "ITWorks gave me the opportunity to take my love for technology and evolve it into skills that I could use to succeed in my future career in technology. After I complete the program I was given the opportunity to work for the City of Las Vegas which I could not have done without the help of ITWorks. ITWorks gave me more than just technical skills It also gave me the skills to present myself as a professional. I am unbelievably grateful for this opportunity." Ryan completed his internship with the City of Las Vegas where he was hired to as part of their IT team. "The most rewarding aspect of ITWorks would be the valuable career and life lessons that were taught during the Friday Sessions, along with the networking opportunities. With my mindset, work ethic, and knowledge attained from my semester at ITWorks I know that I have a great career ahead of me and I have ITWorks to thank for that. " Aundre was offered a position with WSFS Bank as a Service Desk Analyst at the Operations Center within one month of completing his internship at Bloom Energy. "This was an amazing first step. I am so excited to launch my career and continue earning new certifications such as the CompTIA Security+. " 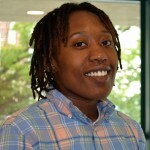 Imani quickly landed a short-term contract position with the Help Desk at Philadelphia International Airport which gave her the experience to secure to a full-time Help Desk Technician position at the Aberdeen Proving Ground in Maryland. 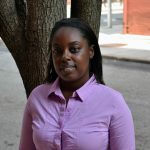 She was then encouraged by her mentor to pursue a position with the State of Delaware, where she now works in the Department of Technology and Information. "I was the point of just wanting to give up because I couldn’t decide what I wanted to do, and that’s when I came across Tech Impact and ITWorks. It ended up giving me a step ahead in life and in school. It provided me a great level of confidence in my social skills, and my ability to talk to people. It’s given me a new sense of patience in understanding people’s problems in the IT field and how to help them kindly and effectively. It also showed me that hard work and dedication can really take you places. I am really thankful! " Amber completed an extended internship at SevOne where she worked with their NOC team. 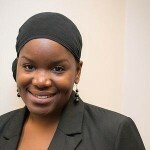 Afterwards, she worked with the IT department at Wilmington University before being hired at Versalign to work on a variety of contracts with state departments. "As soon as I heard what the ITWorks program was all about, I immediately took interest. Having a career in the IT field is ideal because technology is rapidly expanding and there will always be opportunities to further my education, thus moving up in the IT world!" Allison recently was offered a great opportunity with SearchTec after she completed an IT internship with Access Matters. 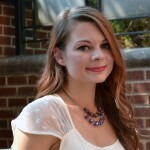 "I am eager to learn all that I can about how many different aspects of technology works. My goal is to become a Network Administrator within the next five years. I like learning new things and staying up to date with the latest technology." Janelle was offered a position with Service Desk at the State of Delaware’s Department of Technology & Information after completing her internship with the State of Delaware. She’s now been then for over four years! 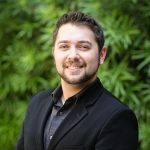 "In 16 weeks I went from having limited computer skills to holding an IT certification. I was able to combine two passions of mine, Healthcare and technology and turn it into a career path. 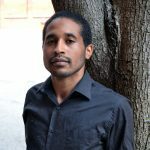 Reached my goal of landing an internship with Christiana Care as an information security analyst, but most importantly I was able to make great connections with people and rebuild my confidence." C’Aira completed her internship at Christiana Care Health System and was kept on as an IT Analyst with their Information Security team. "Although most of my work experience is in the automotive field, I have been intrigued and interested by technology in every aspect. Everything from video games to computers to the hardware components have received my attention and fuels this drive to learn everything about them." 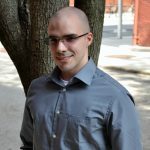 Matt is now working at Qnectus, a cloud-centric IT company in Delaware. 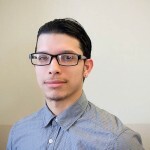 After graduating from the Spring 2014 class, he had obtained a job as a Field Technican with Ricoh Americas Corporation upon completing his internship at the Latin American Community Center. "After working at my family business for two years, I decided to pursue my hopes and dreams of becoming a professional in the IT field. I’ve always had a passion for learning and a fascination with how technology works and how we interacted with it. ITWorks has given me another perspective at life. I learned to be more confident and to never limit myself. It has also taken me from being that wandering person looking from the outside in – to being on the inside looking up." 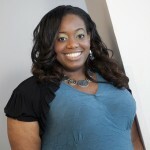 Ariel was hired as a PC Technical Analyst by Independence Blue Cross after an extended Spring 2014 internship with IBC. "I enjoyed having volunteers from different fields and educational backgrounds of IT to come and speak to us. It consistently drove home the truth that we have a ton of options open to us as long as we are willing to put ourselves out there, never stop learning and are not afraid to step out of our comfort zones to seize the opportunities we come across." 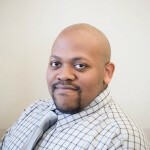 William was hired as a Comcast Customer Security Assurance Tech 2 by Comcast after interning with United HealthGroup and graduating from our Spring 2014 Philadelphia class.